The station area connects both sides of Stångån. 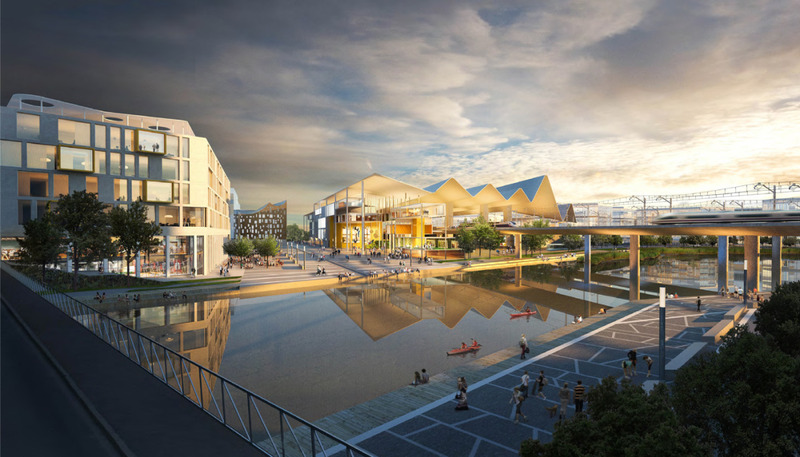 In 2012 Linköping municipality launched an international architectural competition for the development of the city centre, east of the river Stångån. Tovatt Architects & Planners + team was chosen as one among 60 registered. 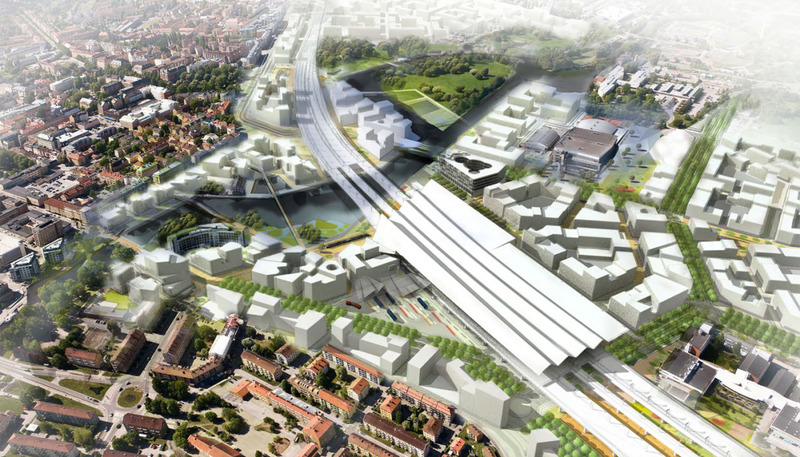 The brief included a new station and travel centre in Linköping. 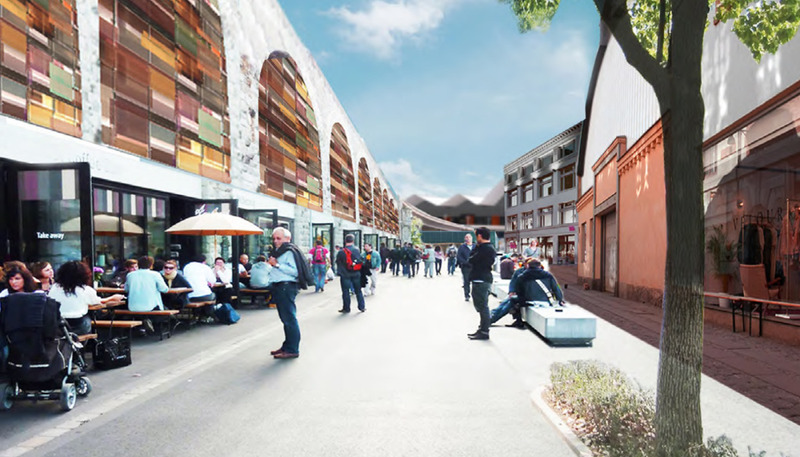 Our proposal created new strong connections from the city centre far into future unknown structures. 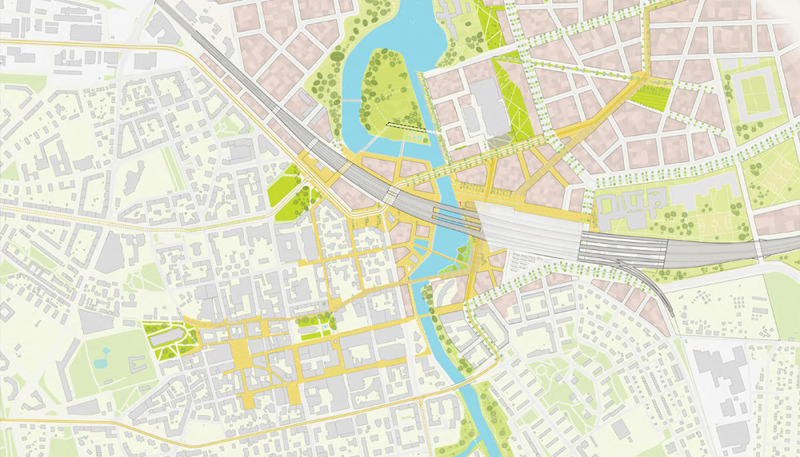 It also let the area around Stångån retake its roll as a lively and important landscape. 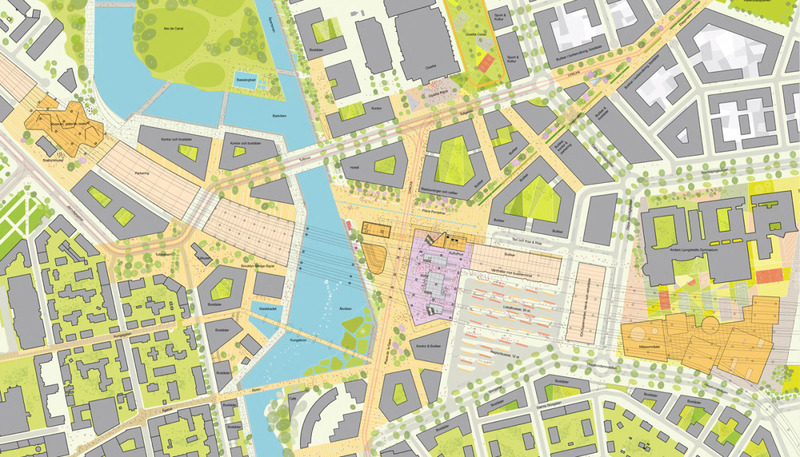 Project type: Invited masterplan competition for relocating the central station. 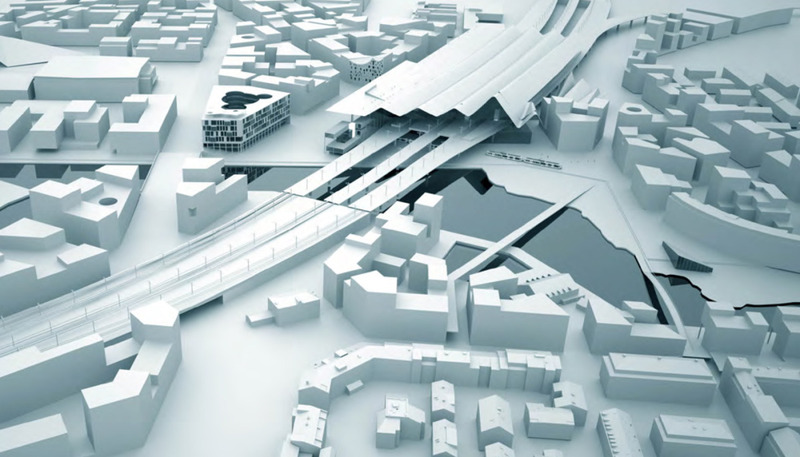 The new station is part of the extension of the city centre to the other side of Stångån. The new train bridge and Stångån. The station is an integrated part of the public space. Commercial functions under the bridge makes the bridge a part of the urban fabric and reduce its function as a barrier. The new station building seen from Stångån.